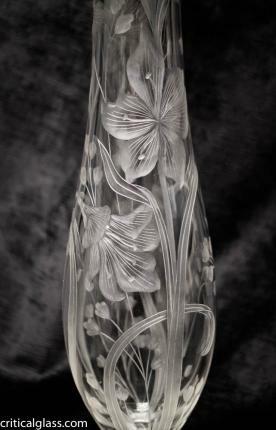 Gorham Sterling Mounted Engraved Vase – Sinclaire? 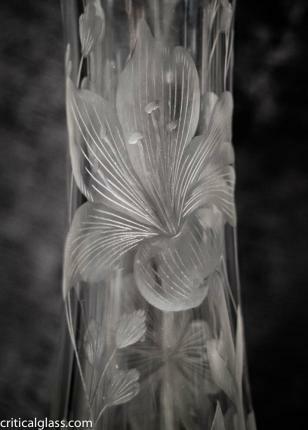 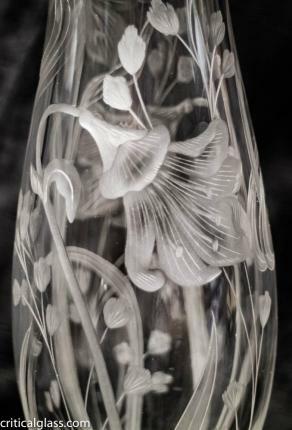 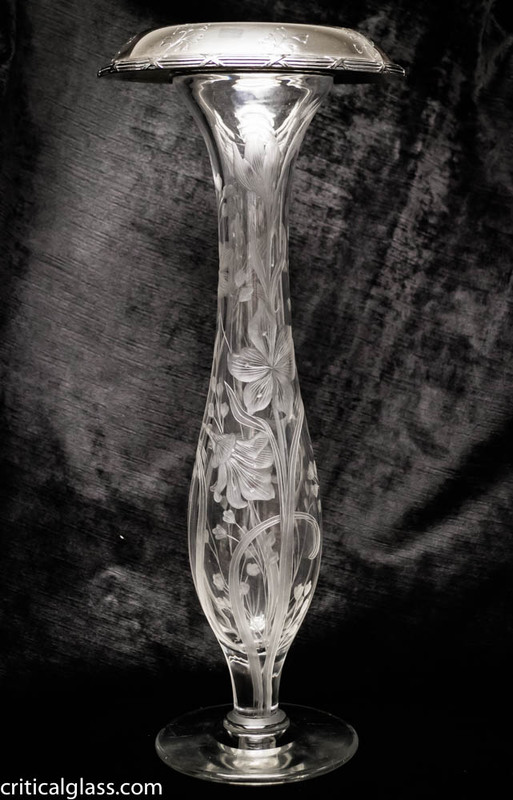 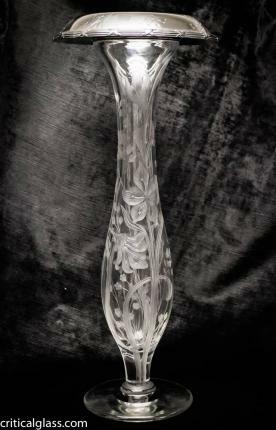 This is a particularly elegant vase with Gorham mounts. 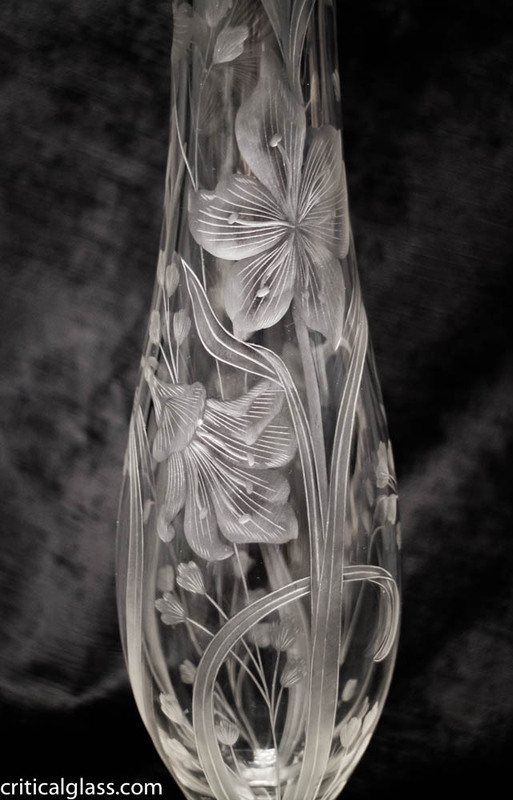 While the maker is unknown it is similar to some of Sinclaire’s fine engraved work. 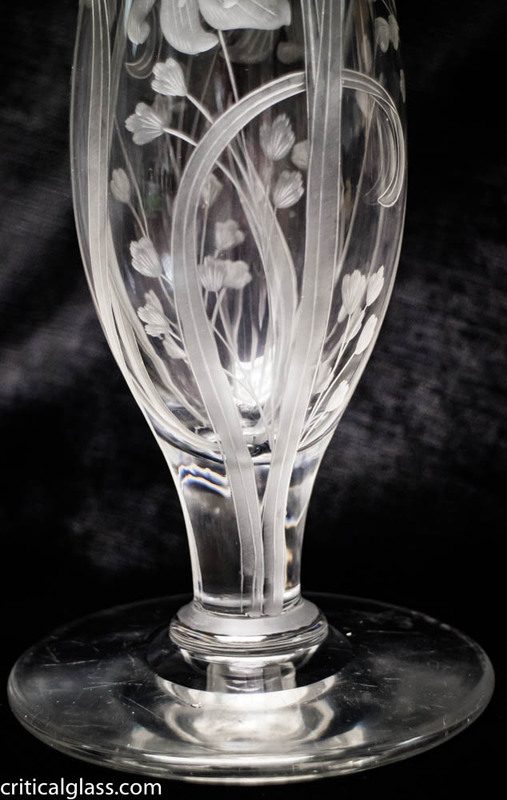 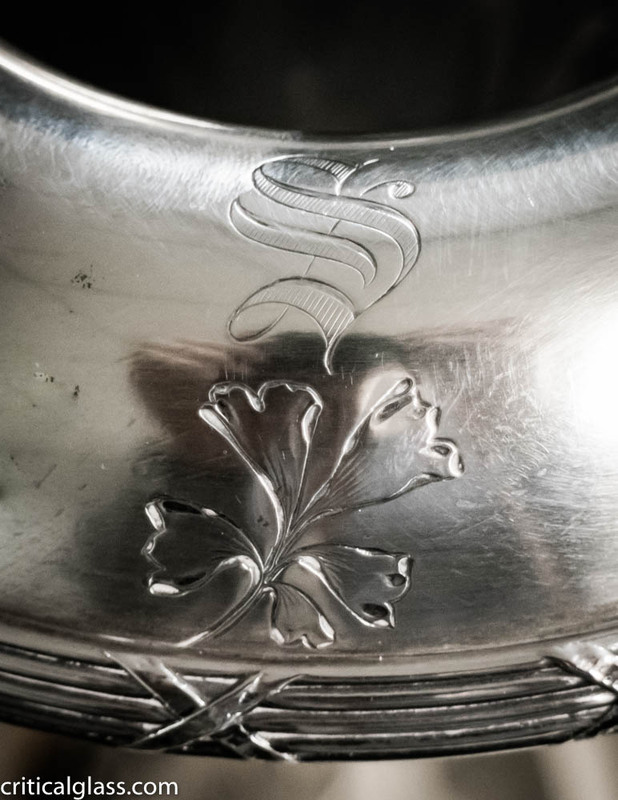 Fine stretch across this piece leading up to a rolled rim, sterling top with more foliage. The blend of engraving and form is sublime and well thought out. 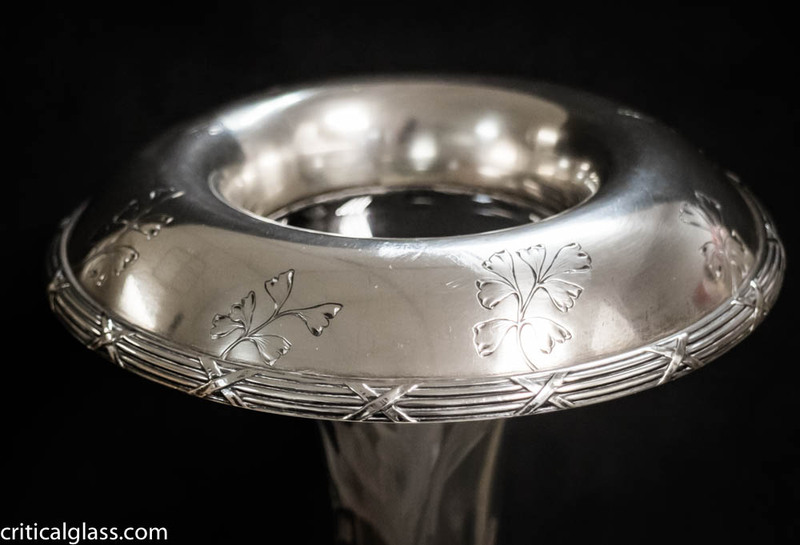 The piece is in excellent condition and measures 16 1/2″ tall and 7 1/4″ wide at the silver top.